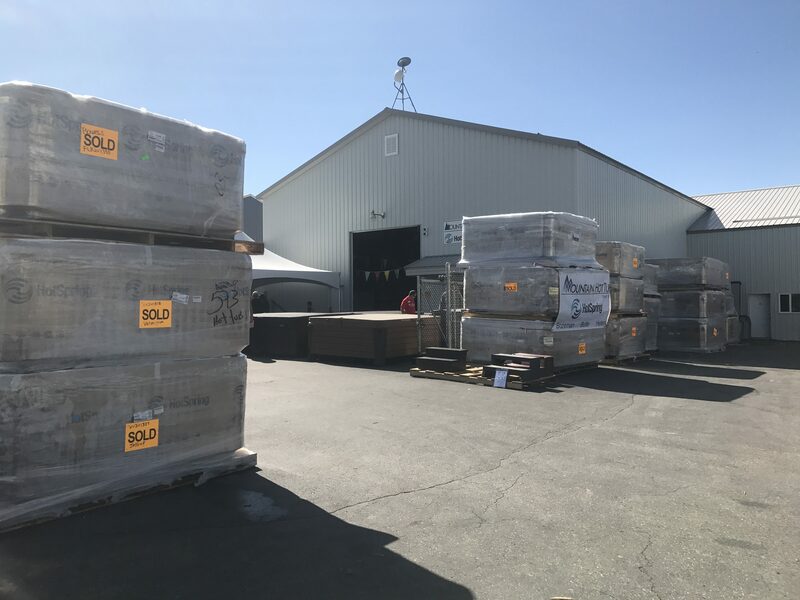 We are a Hot Tub Dealer in Montana! Get to know our friendly staff now! Mountain Hot Tub has been the best choice in Bozeman for almost 40 years. Established in 1979 by Tom Walker and Scott Smith, MHT started out installing redwood hot tubs, building them one at a time. The company now is one of the most successful of its kind in the country. Recognized by Aqua Magazine as one of the Top 100 pool and spa dealers several times over, MHT was inducted into the Aqua 100 Hall of Fame in 2005. Moved to Bozeman in 1995 to join the Mountain Hot Tub team. Became the owner of the company in 2014. Happily married in 2009 to Shirley, who runs the company with me. 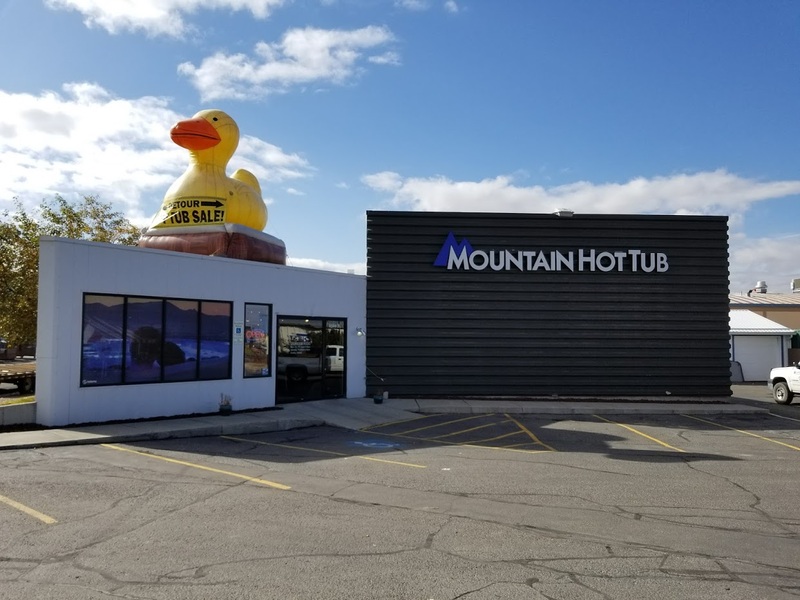 Started out in the hot tub business as a service technician in 1989, owned a hot tub service company and managed hot tub stores in Helena, Boise, Idaho Falls and Vail, CO. Served 6 years in the Navy in the nuclear power division, operating the electrical power plant on the aircraft carrier USS Carl Vinson. Sailed all over the world while learning everything I would need to know to be able to fix a hot tub in my next life. Love living in Bozeman where I can enjoy the outdoors fishing, canoeing, and riding my motorcycle with Shirley across the West. Especially enjoy spending time in my home town of Spencer, Idaho where we regularly rendezvous with my family, including my 3 children: Nate, Stephany and Adam, and my 4 grandchildren: Alyssa, Alivia, Hayden and Allison. It has been a privilege to work with Tom and Scott at Mountain Hot Tub. I have worked with Tom as his general manager since 2001, after Scott was taken from us in an accident. The culture of Mountain Hot Tub is one of respect, humility and patience and our unwritten mission statement has always been “Blow people away with service and sell [lots] of spas”. Shirley and I enjoy using our Hot Spring Envoy NXT to unwind at the end of the day and reconnect under the star filled night sky. It’s also a great time watching the grandkids play in the hot tub when they come to visit – 4 smiling faces in the steam rising from the hot water on a cold winter day just can’t be beat! We hope that if you are considering owning your own hot tub that you would stop by and visit with us. I believe that there is nobody that can provide a better experience for you in choosing the right spa and making it something you will enjoy having. I am happily married to Kelly King, the other co-owner. Previously worked for the Federal Bureau of Investigation for 20 years and the Gallatin County Detention Center for 2 years. United States Navy Corpsman for 4 years. Enjoy fishing, hiking, canoeing, camping and motorcycling (as a passenger on my husband’s bike) in the summer. Snowshoeing and cross country skiing in Spencer, ID in the winter. Enjoy soaking & relaxing in our Hot Spring Envoy NXT almost every day! Looking forward to meeting our current and future hot tub customers in the store or at any of our store events! Been with MHT since 2005. I enjoy camping and skiing with my family. My hot tub is a Limelight Pulse. I love the rotary jets! I love living in Bozeman and enjoy all the activities it has to offer for my family and myself! Been with MHT since 2001. I have a 2003 Hot Spring Vanguard with Spaudio that I soak in every morning before work, with a cup of coffee! I am an avid snowboarder, fly fisherman and mountain biker. I was also in the premier issue of Snowboarder Magazine, back when I lived in Big Sky MT! I have 4 kids: 2 girls, Destiny and Stara; and 2 boys, Dylan and Chase. I also have 4 furry kids! 2 dogs named Baxter and Roxie, plus two cats named Dewey and Oreo. 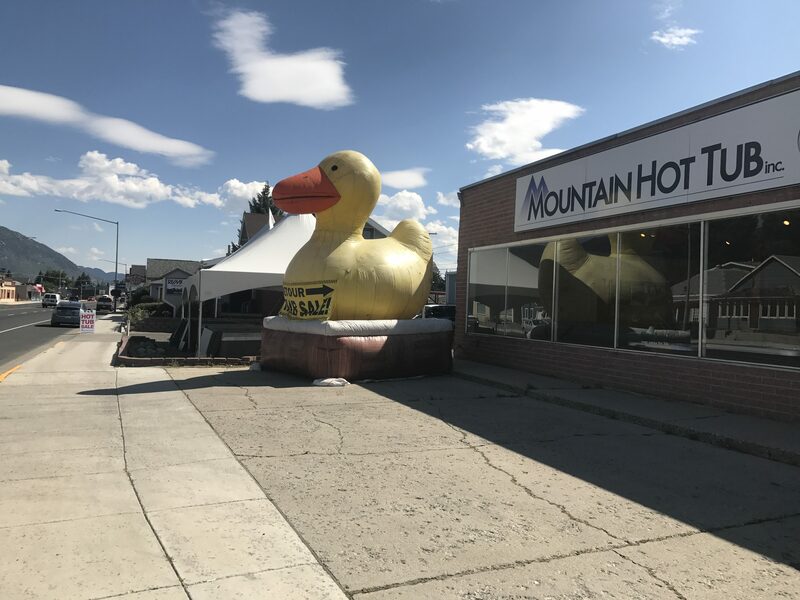 I came to Bozeman and joined the Mountain Hot Tub team in 2006. I’ve found the Bozeman are to be a beautiful place to live and play. Working with the team at Mountain Hot Tub is both enjoyable and rewarding! I spent many of my years in the hot Arizona summers in Phoenix and Tucson where I worked in law enforcement in the Tucson area before moving to Montana. I enjoy hunting, shooting sports, off-road driving and spending time with my three kids (we love snow sledding)! I enjoy hot tubbing whenever I can as I find it amazingly relaxing! However, I personally own a Far-Infrared & Traditional combination sauna and love it! I truly believe that heat therapy through hot water immersion or sauna can truly benefit your life. I enjoy helping customers find peace and relaxation in their hot tub! Periodically you’ll find me teaching one of several free water care classes Mountain Hot Tub provides to it’s customers each year. Simply selling a “product” isn’t good enough for me. I believe that taking the time to educate our customers helps them more easily manage their hot tubs and enjoy them that much more! My favorite hot tub model is the Hot Spring Jetsetter NXT! I find this spa to have great massage therapy in a small package! My favorite hot tub is the Envoy NXT! I love hunting, fishing, being a Dad and watching the Dallas Cowboys. My favorite part of working at Mountain Hot Tub is that we are one big, happy family! I enjoy soaking with my husband and 2 kids in our Sovereign – I’m a Hot Tubber!! Someday I hope to get a new Vanguard. I love photography, garage sales/thrift shopping, and watching movies with my family at home. I’ve been to Tahiti and want to visit Thailand and Australia someday! I have an Envoy NXT and I love it! I am from Bozeman Montana. I enjoy fishing, spending time with my family, working on cars and sitting in my hot tub! My parents have managed Mountain Hot Tub in Butte for over 20 years, so I feel like I have been raised around the hot tub industry. Over the years I have become a Factory Certified Technician. I have been sitting in hot tubs since I was 3 years old! In my free time I enjoy hunting, camping, and fishing in Montana. I use my hot tub every morning and every evening. It is just a great way for me to start and end my busy days! 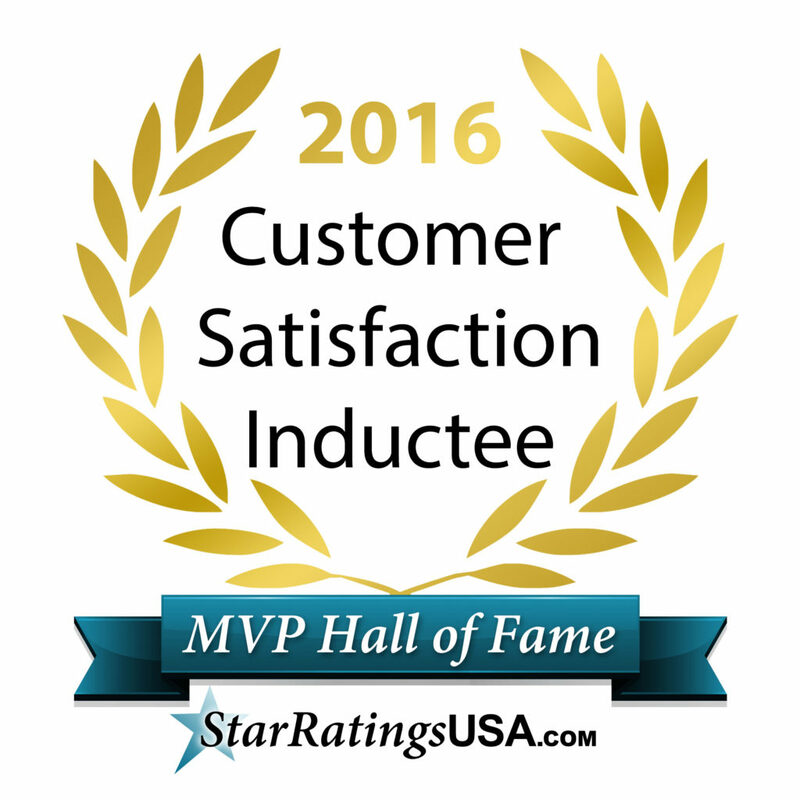 I really enjoy working with the customers and look forward to growing with Mountain Hot Tub. Some of the highlights of my day are dealing with the customers. Over the years I have participated in several sales, marketing & educational seminars to better assist customers in finding the perfect hot tub for their needs! I have been sitting in hot tubs since I was a toddler, and I enjoy soaking with my family in our Grandee hot tub that we have had for many years. I really enjoy my hot tub after a long weekend of camping in MT and especially in the winter after hitting the slopes all day! I enjoy working for Mountain Hot Tub and can envision myself working here for many years to come! Been with MHT since 1989. I have worked in all aspects of the spa industry (service, sales and everything in between) for over 25 years. My hobbies include cooking, hiking, biking and all other outdoor activies. My passions are guns and aircraft! Working for the Hot Tub Capital of the World for over 13 years has been an amazing experience! I was born and raised in Helena, MT. I love watching sports especially the SEATTLE SEAHAWKS. I also enjoy hanging out with my family and friends, vacationing, going to the beach (my family and I love the water), and golfing. I have two amazing kids. Austin is 9 and Jackson is 2. I really enjoy going to activities with them and sometimes I also coach my sons teams. My wife Renee has been lucky enough to be with me for over 15 years! Hot Tubs are great and you should buy one if you are reading this. I have lived in Montana for nearly my entire life and returned to Mountain Hot Tub after a 15 month stay in Seattle, Washington. I started at MHT in 2002 and am so happy to be back in Bozeman. Everyone should have a hot tub and you will feel better when you do! When I am not working I love to play and write music with my wife, who is a great jazz singer. I have three amazing kids: Brielle is 6, Gibson is almost 3 and Gavin is 1. I love to chase wildlife and fly fish and have always been involved in youth sports in one way or another having coached and officiated at all levels. You might see me on the baseball field this summer umpiring the area American Legion Baseball teams. I also am a firm believer in the golf course being my second office! Unwinding in a hot tub really does improve your quality of life and I look forward to helping you find one that meets your specific needs. I have been with MHT since 2016. I love the Jetsetter NXT most of all, because of the Moto-Massage, ACE Salt System, and Bluetooth music package. If I’m not working at Mountain Hot Tub, you’ll find me with my wife and son walking our two Jack Russell Terriers, driving my Landcruiser in the woods, hiking, rock hounding or grilling. I am from Montana, did a brief stint in Minnesota, but consider myself a Bozeman Native. Bozeman, MT is the place for me for many reasons, one being that it is The Hot Tub Capital of the World! Choosing the right company to buy your hot tub from is as important as choosing the right brand of hot tub. We want to share with you some of the things that we feel make Mountain Hot Tub the best choice. We are #1. 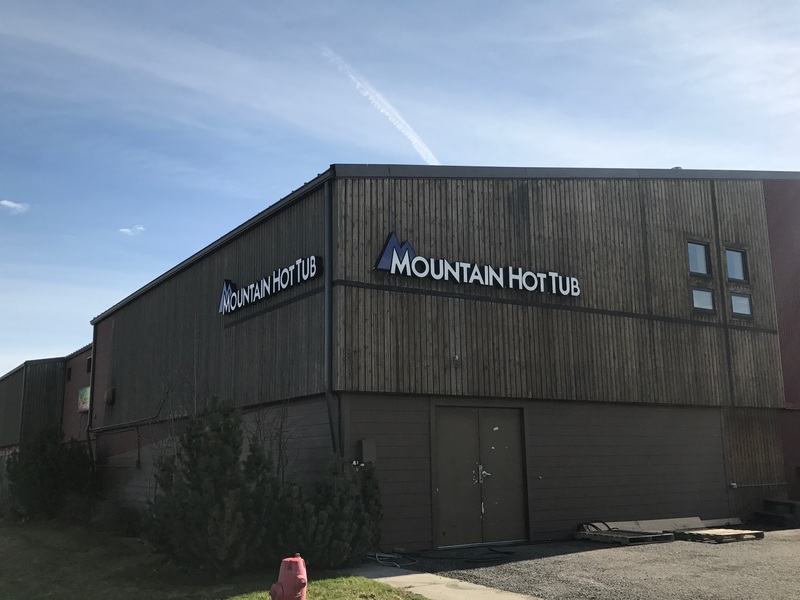 Nobody in Montana has more experience in the hot tub business as Mountain Hot Tub. Our staff has an average of over 8 years experience, many of whom have over 10 years, and some have over 20 years of making their living in the hot tub world. Established in 1979, founders Tom Walker and Scott Smith started out building the original redwood hot tubs. 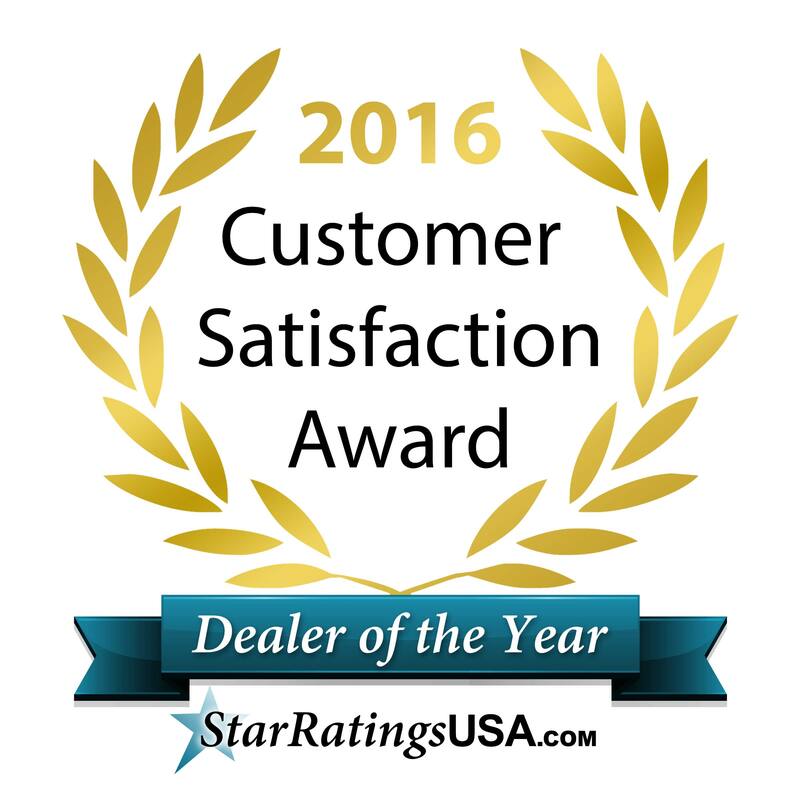 The company has grown into one of the top dealers not only in Montana, but we are recognized throughout the country as one of the best retailers specializing in hot tubs. When co-founder Scott Smith passed away in 2001, Hot Spring Spas created the Scott Smith Superior Customer Satisfaction Award. We continue to hold up the high standards that earned that credit, doing the right thing for our customers and keeping to our word. We support our community in many ways, including our support of Montana Special Olympics. Every year we provide a hot tub for the brave folks that raise money for them and then jump in the icy water during their annual Polar Plunge event. By having a trained staff with the best products available for water care, we ensure that hot tubbers are getting the longest possible life of the water in their spa with the least amount of chemicals. Using Silk Balance or the new Ace Salt Water System can extend the water life even longer. These products are only available at the very best hot tub dealers in the country. Our company uses recycling for our packaging and paper products and we strive to operate with as little paper as possible, for example using electronic payment methods and email as much as we can, which our customers like for ease and convenience. We have also updated our service fleet with more fuel efficient vehicles that can carry more product on board, requiring fewer trips to do the job right. The spas that we carry are the most energy efficient brands on the market today and are all certified to comply with the California Energy Commission standards. Established as a corporation in 1979 in Bozeman. We’ve had the same phone number ever since. Moved into the current location on West Main Street in Bozeman in 1989. Opened our Butte location in 1989. Opened our Helena location in 1993. Opened our five thousand square foot Service Center and Warehouse in Bozeman in 2003. For providing a superior ownership experience, Hot Spring has earned the SpaSearch Certification every year since the award’s inception in 2005. ENVY Award for energy efficient hot tub design (2008). Awarded by INDESIGN Institute for Innovative Design (a research and development institute near Munich, Germany). The State of California Flex Your Power award was given to the Hot Spring Manufacturing facility for leadership in energy-efficient manufacturing operations (2008). The BEST hot tub service, sales, and solutions in Bozeman, Big Sky, Butte, Helena, and surrounding areas. Montana’s highest volume spa dealer.